Pond-raised saltwater shrimp account for 25 to 30 percent of world shrimp production. Most pond production comes from countries near the equator where a long growing season allows for more than one crop of shrimp to be grown in a year. 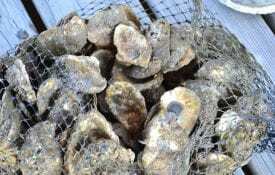 Shrimp farming in the U.S. is concentrated in the south of Texas and in South Carolina. These farms produce about 1,000 tons of shrimp per year compared to world farm production of 712,000 tons per year. Wild-caught shrimp contribute another 1.9 million tons to world supply. As a result of worldwide production and global marketing, events in Thailand, Chile, or China can have a greater effect on shrimp prices than local circumstances. Shrimp farming is a high-risk venture that requires considerable capital and technical expertise to be successful. Learn some of the basics of shrimp farming. 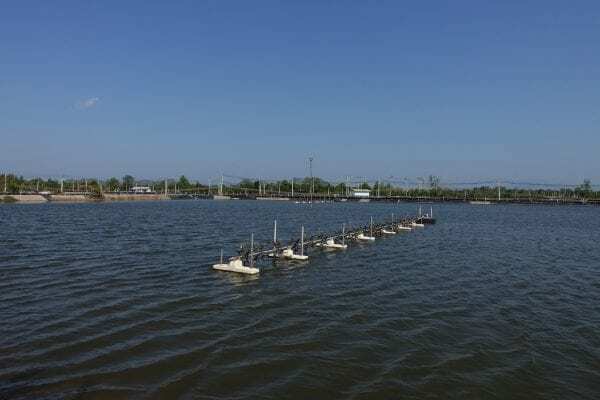 Since shrimp ponds are constructed in coastal areas, the activity will probably be regulated by state and federal agencies. The permit process is often handled through the Corps of Engineers or state environmental agencies. The three general strategies for shrimp farming are extensive, semi-intensive, and intensive. The strategy used dictates the pond size, stocking density, level of pond management, investment cost, and potential production. Extensive farming uses large ponds with a low stocking density. Little management and investment are required, but the potential production is low. The other extreme is intensive culture, using small ponds with a high stocking density. A high level of management and investment are required, but the potential production is quite large. Semi-intensive culture falls between these two extremes. Most shrimp farms in the U.S. fall in the range of semi-intensive to intensive. The farming strategy used determines the size of the pond. Extensive farming usually requires large ponds and a lot of acreage while intensive farming is done in smaller ponds of 1 to 10 acres. Pond depth is generally four to seven feet. When building the pond, give careful thought to how the shrimp will be harvested. Bottoms should have a gentle, smooth slope toward the outflow to aid both drainage and harvest. Dikes between and around ponds should be strong enough and wide enough to accommodate heavy vehicles. A number of different shrimp species are used in pond culture. The western white shrimp, Penaeus vannamei, native to the Pacific coast of Mexico and South America, is the most commonly cultured shrimp in the U.S. A recent disease problem with this species has sparked interest in other species including the northern white shrimp, Penaeus setiferus, native to the Gulf of Mexico. Since the northern white shrimp has not been used extensively in pond culture, there is much more to learn about the utility of this species. Ponds are stocked with post larval shrimp (PLs) purchased from a hatchery. At stocking the PLs are less than 1/2 inch in length. Because of our temperate climate, ponds are stocked in April and May. Stocking densities vary from less than one post larval shrimp per square foot for extensive farming to two to five per square foot for intensive farming. Little management of feed and water quality is required for extensive farming. Semi-intensive and intensive farming require much more management to accommodate higher stocking densities. Ponds are fertilized prior to stocking to stimulate phytoplankton production, which in turn increases zooplankton production. Even with this increase in the natural food supply, a large amount of artificial feed is needed to ensure proper shrimp growth. As the shrimp grow, more and more feed is required. Water quality must be closely monitored. 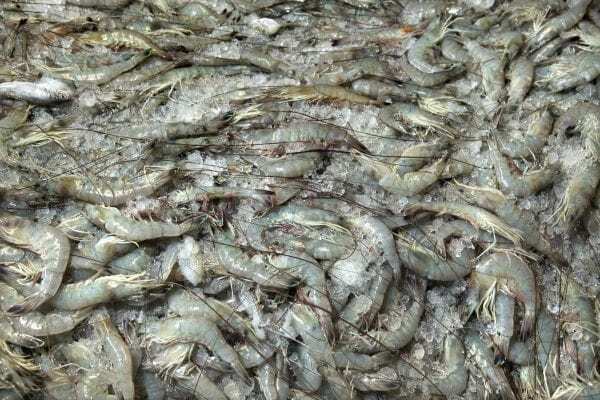 Decomposition of unused feed and shrimp waste products can foul the water resulting in reduced growth or death of the shrimp. Water quality is improved by using large aerators to increase the amount of oxygen in the water, and by using pumps to exchange poor quality water for clean water. Shrimp are harvested in October when temperatures begin to drop and growth begins to slow. At harvest, the shrimp should be about 22 to 36 to the pound. Harvesting is accomplished by draining the pond and collecting the shrimp using special pumps or by capturing them in nets. The shrimp are then placed in an ice bath or packed in ice for transport to a processing plant. 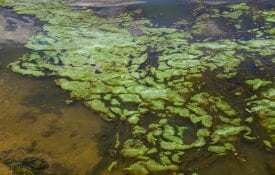 The supply of post larval shrimp for stocking ponds can be erratic. Few hatcheries produce post larval shrimp, and they often have a problem balancing supply and demand. The second problem is that shrimp farmers soon realize that if they could grow more shrimp per acre they could make more money. As the amount of shrimp per acre increases, the amount of feed needed increases and the risk that something will go wrong in the pond increases dramatically. 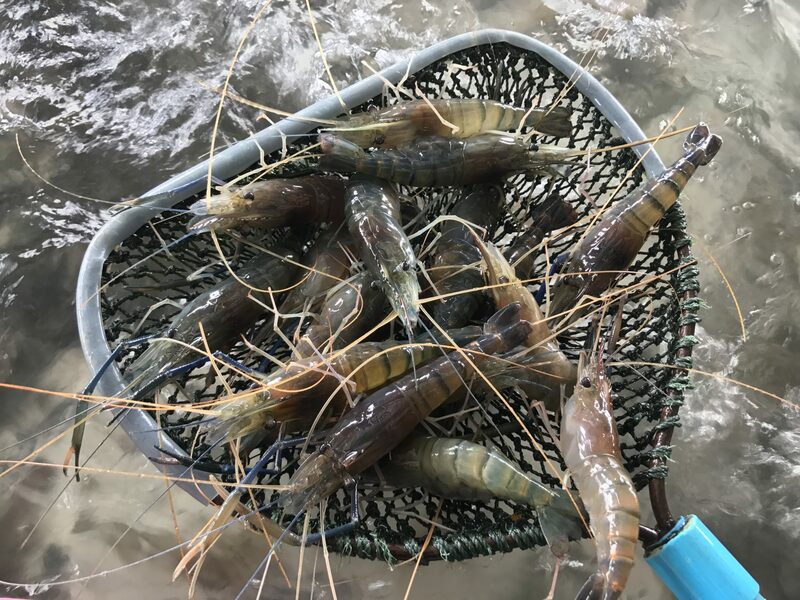 A considerable amount of management expertise and experience is needed to successfully produce large amounts of shrimp from small ponds. Despite its romantic allure for some, shrimp farming is a business like any other. Income must be greater than costs to show a profit. 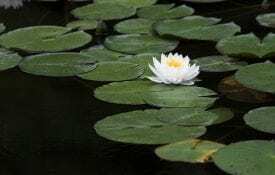 Buying land, building ponds, pumping water, buying small shrimp, feeding, harvesting, and managing costs must be considered in view of expected sales. Careful analysis of the costs and benefits should be undertaken before investing.